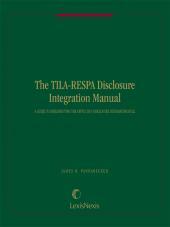 The TILA-RESPA Disclosure Integration Manual provides the information you need for implementing TILA-RESPA disclosure integration; includes details of how the new Rule affects application processing; explanations of the new Loan Estimate and Closing Disclosure forms; and charts covering the loans to which the new Rule applies. 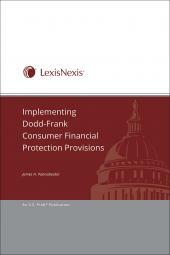 • Details of how the new Rule affects application processing, e.g., pre-loan estimates, preapprovals, fee collection, verification of information, timing of Loan Estimates and Closing Disclosures (and "business day" rules), and listing of settlement service providers, which will ensure you develop and maintain effective business operations for your clients. 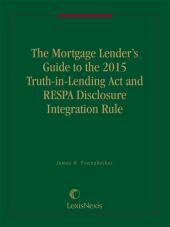 • Explanations of the new Loan Estimate and Closing Disclosure forms, page-by-page, table-by-table, and item-by-item, which will save valuable drafting time. 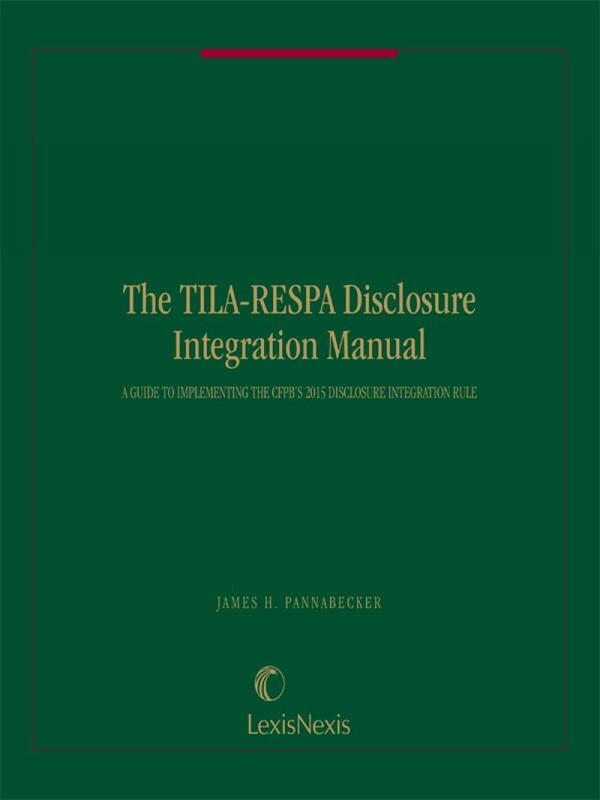 • Short examples that illustrate aspects of the TILA-RESPA Disclosure Integration Rule, which will ensure you have a good understanding of how to comply with the new requirements. • Charts covering the loans to which the new Rule applies; new rounding rules; and the disclosures required before and after the new Rule. 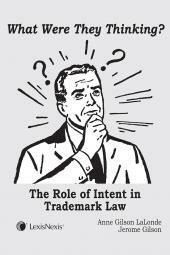 These charts will ensure your clients' timely and accurate compliance with the new Rule. • Slide-ready summaries for presentations, which will help you train and explain the new Rule to your lending teams.